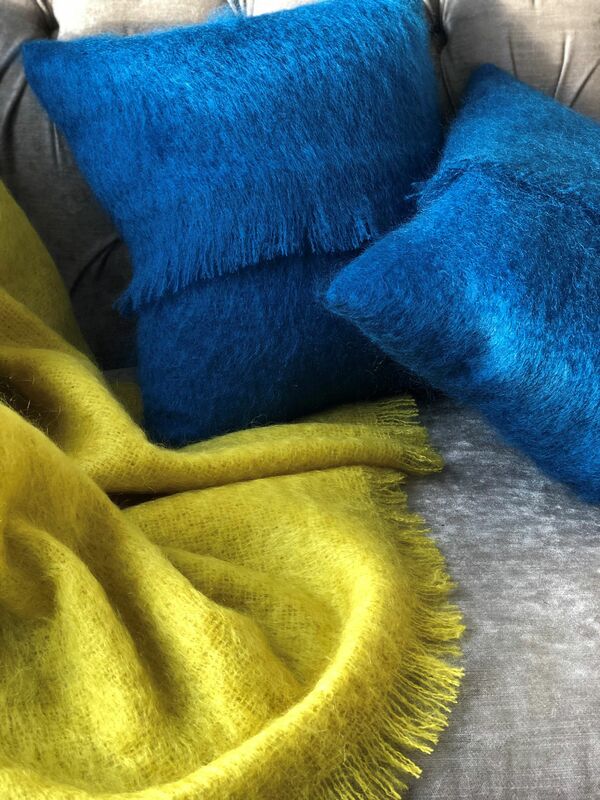 I love ringing the seasonal changes in my home with accessories, particularly when the nights start drawing in. This year, I’m more excited than usual though. In spring, I changed my sitting room completely, when we did the garage-to-office conversion. (I live in a new-build property, so what it lacks in character, it makes up for in clean lines). 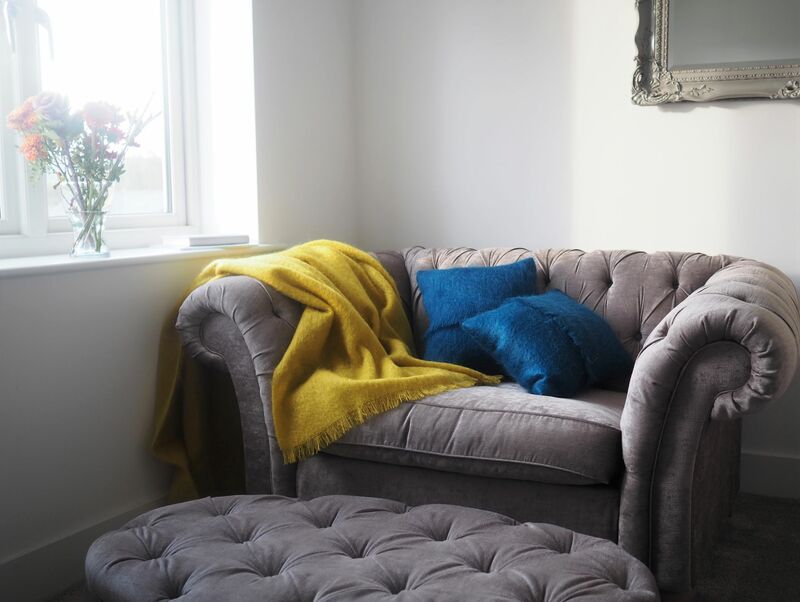 I chose a dove grey and mink colour scheme and we have a velvet buttoned sofa, snuggler chair and footstool. It’s all very restful, calm and soothing. But, I’ve been wanting to inject a little colour and texture here and there to make it feel a little cosier for the coming months. I’m still working with Yorkshire-based family business, Samuel Tweed. 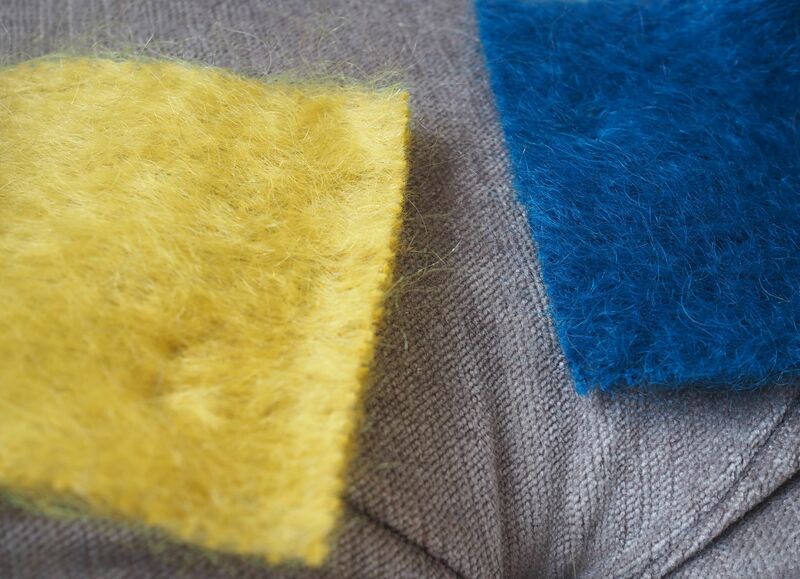 (You might remember the beautiful mohair serapes I wrote about last autumn). 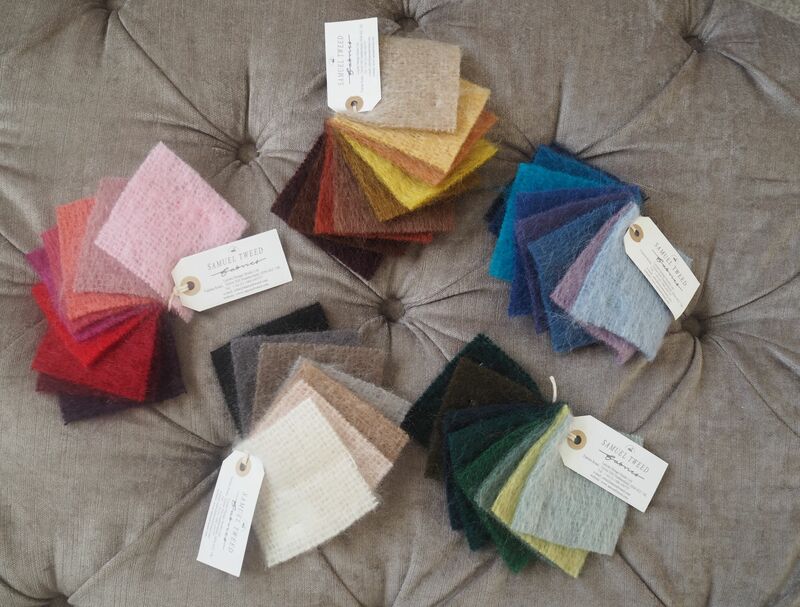 They can dye the mohair to almost any colour, so I decided to ask to look at some colour samples and order a mohair throw and cushions to brighten up my snuggler chair. (The cushions will be available online at the end of the month, The throws are available now). Initially, I considered blush pink and a soft aqua, but I love yellow with grey so decided upon mustard. Such a strong colour needs another equally strong colour to compliment it. This divine shade of mallard is perfect. Mohair is both lightweight and warm and I love the subtle sheen and texture. 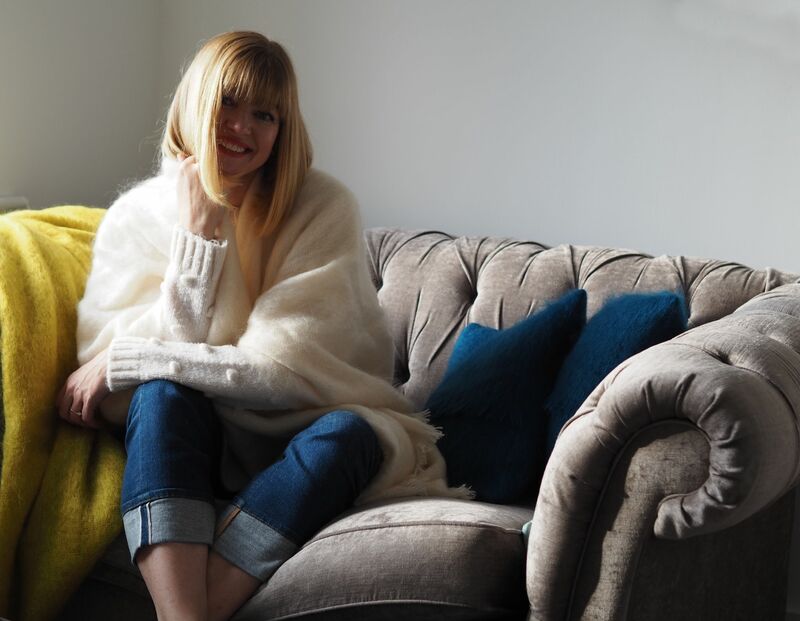 And…if I want to feel extra cosy, I wrap up in the ecru mohair serape that I got last season. 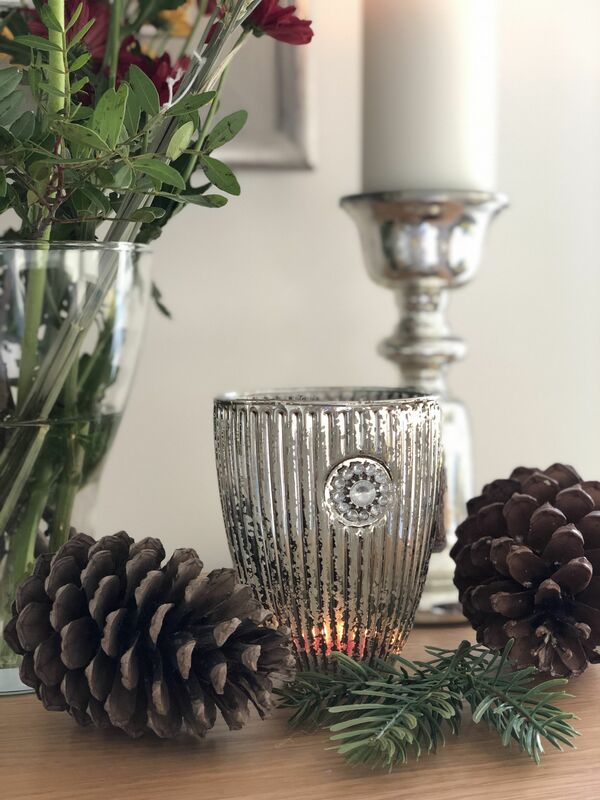 I light candles all year round, but during autumn and winter, I like to use mercurised candle sticks and tealight holders. They catch and reflect the light so beautifully. 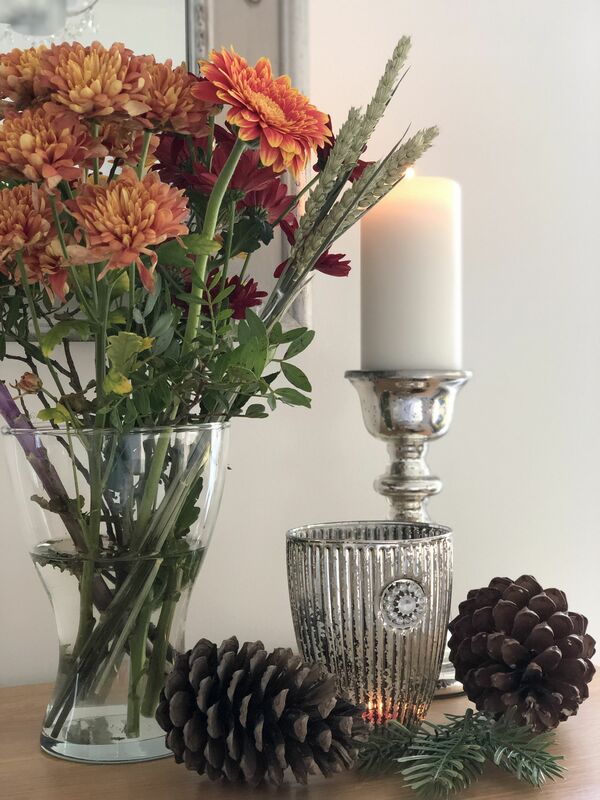 Seasonal flowers and a few pine cones add a little organic beauty and texture until it’s time for fairy lights and baubles. Such a simple way of making the home look more cosy and seasonal. Samuel Tweed are kindly running a giveaway. 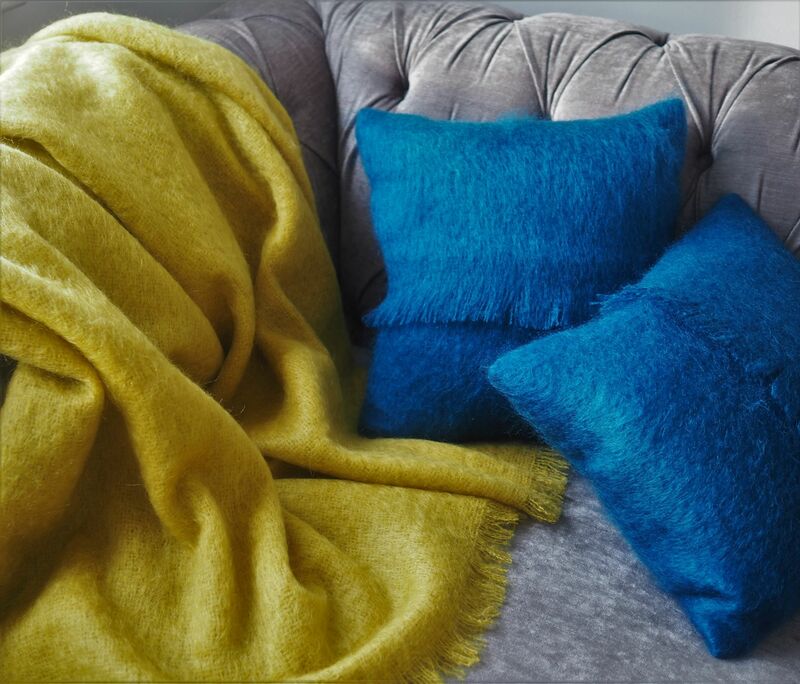 The first prize is a mohair throw and there are two second prizes of a cushion, in a choice of colours. Please enter using the Rafflecopter app right here. You can get up to six entries by following me and Samuel Tweed on Instagram, Facebook And Twitter. And do still enter if you already follow us. It’s all very self-explanatory on the app. The competition closes on Saturday 24th November. The three winners will be drawn by the Rafflecopter app and notified on 25th November. Good luck! This post is written in conjunction with Samuel Tweed. All opinions are 100% honest and all content is my own. Thank you for supporting the brands that support my blog. 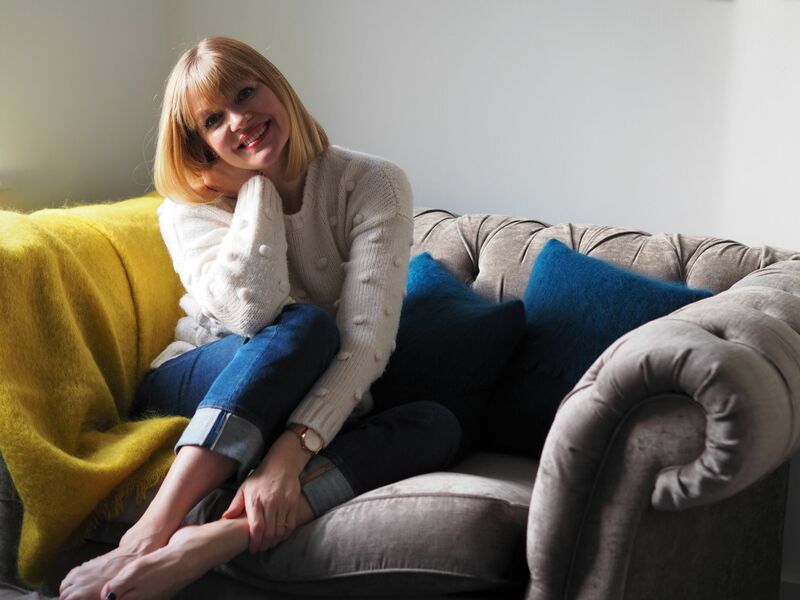 Liz there’s nothing I love better in interiors than a company that produces a single item in a huge range of colours rather than just the “in” colours of the season, so these throws and cushions are fantastic! 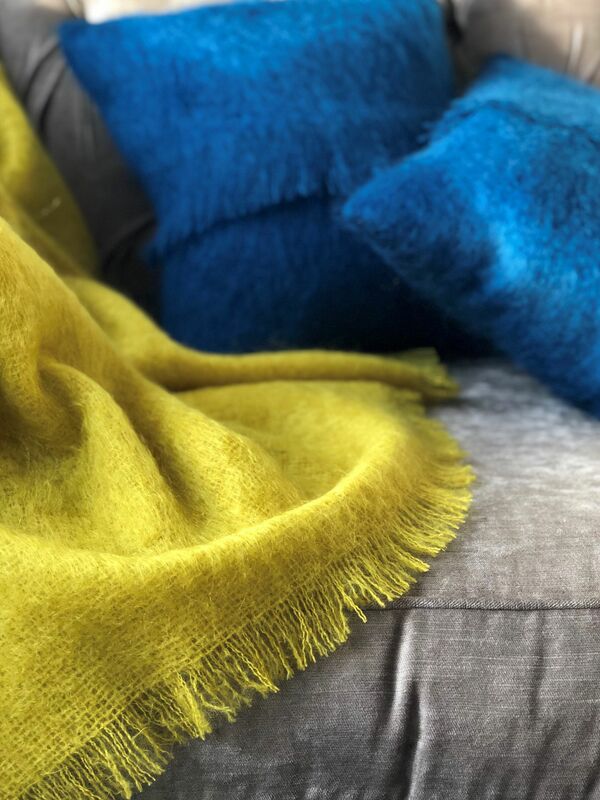 Your choices look beautiful, you know how I love mustard too… I might have to choose one of the soft pinks with the caramel-ish colour for my new office if I were to win!